Although the initial phases are over, Global Power Shift remains a catalyst for bolder, broader, deeper action and organising in our movements to confront those causing the climate crisis and for social justice. 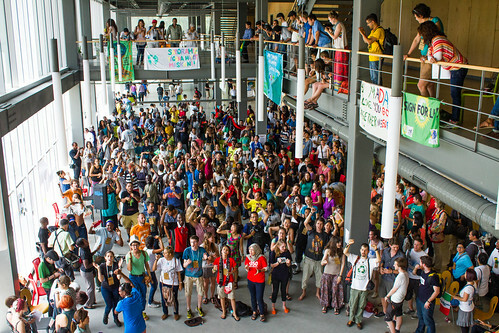 Phase 1 of Global Power Shift was a summit in Istanbul, Turkey in June 2013 where more than 500 climate leaders from around the world gathered for training, sharing stories, community building and developing strategies to prepare for catalysing a huge expansion of the movement. 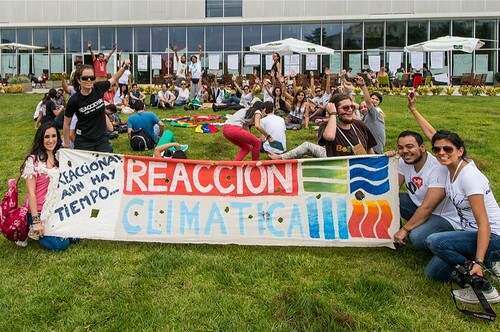 During Phase 2 these climate leaders, together with friends and allies in their countries and regions, sparked an unprecedented wave of events and mobilisations for powerful climate action around the globe, culminating in 86 regional power shifts in total. We need to create the cultural and political conditions that will enable local communities, institutions, and governments to stand up to the fossil fuel industry or other destructive forces and take bold action on climate change. How do we actually do this?We don’t have financial power, like industry does. Rather, we need to organise and mobilise people to build power. When we organise to change the conditions in our own communities, we take power back for ourselves to determine our own future – and force politics to respond. Phase 1 of GPS — the summit in Istanbul, Turkey — was our chance for many of us to come together and prepare for this challenging, yet exciting, work ahead (Phase 2). We weren’t trying to build a single strategy, but rather to align our diverse strategies across the world, so that our movement would be bigger than the sum of its parts. We aimed to understand the underlying roots of the climate crisis, to create just and sustainable communities, and to build the skills needed to create the world we want. Phase 2 – Essential Information.